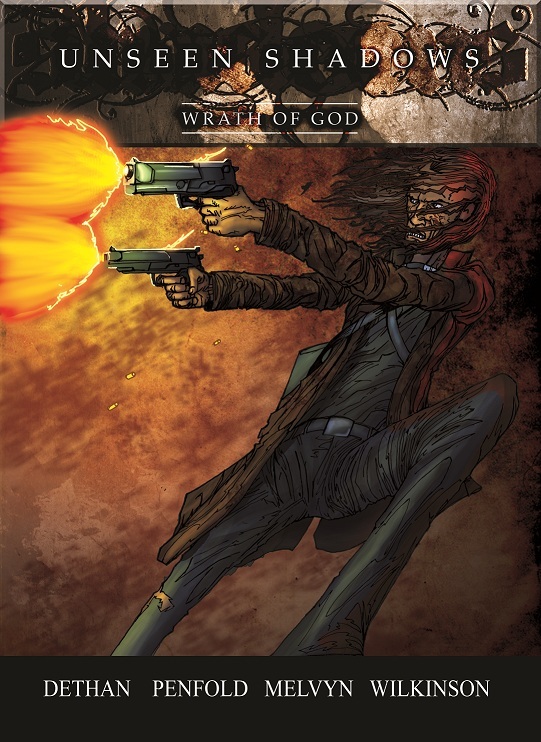 So finally Unseen Shadows smashes it’s way onto the ComiXology store with Wrath of God. So what are you waiting for pick up the Comixology app and get your copy today before the Reverend pays you a visit. 69p of high octane pulp fueled action..what more could you ask for? The Reverend: a holy weapon forged in tragedy and flame – a murderous martyr whose cold judgement strikes with the force of a vengeful God. Despair, for the Reverend walks among you. He is the right hand of vengeance. He is Wrath. From the twisted brain of Cy Dethan comes this 22 page story following Fallen Heroes favourite The Reverend; a cold blooded and ruthless killer hell-bent on a path of righteousness and destruction.